Black Joe Lewis is back with a funky vengeance. More than three years had passed since his previous album, the underrated Electric Slave, when the Austin-based rock ’n’ souler and his band the Honeybears this month released a groove-infused collection of tunes called Backlash. It had been so long since the last one, I was beginning to wonder whether Lewis — who just a few years ago was driving a delivery truck for a seafood business — had gone back to the fish biz. Fortunately not. 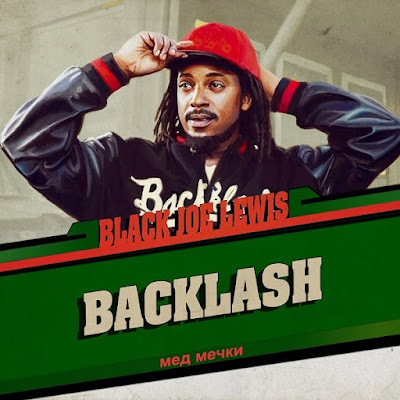 The first difference between this record and his last one that Black Joe fans are bound to notice is that while Electric Slave leaned heavy on hard rock and blues, Backlash shows the band’s funkier side. His horn section, which always been present, is more prominent than ever. In fact, I’m not the first to notice certain similarities between the Honeybears and the Dap-Kings, the late Sharon Jones’ band. In fact, Lewis’ song “Sexual Tension” would have made for a wonderful duet between Jones and neo-soul giant Lee Fields. “Nature’s Natural” could almost pass as a Charles Bradley tune, while the slow-burning “Wasted” is a minor-key howl from the dark night of the soul. A flute that appears about halfway through the song adds a jazzy touch. But don’t think that anyone’s trying to hide Lewis’ rock chops. There are plenty of guitar-centric rockers here, such as “Prison” (in which Lewis shouts, “I don’t mind being locked up!”). Likewise, “Shadow People” and the frantic “Freakin’ Out” show that Lewis and crew haven’t turned their backs on those punk influences that marked their early work. And speaking of freaking out, Lewis flirts with psychedelia with the spacey six-minute album closer, “Maroon,” featuring a tasty trumpet solo and some fine guitar from Lewis. But the most impressive song here is the other six-minute song on the album, “Lips of a Loser.” In this one, the horns interweave with ’70s-style strings to dominate the first half of the track. But then, Lewis comes in with a fiery guitar solo that’s downright jaw-dropping. It’s heartening to know that musicians like these are out there blurring lines between musical borders and making good-time music that thrills. Black Joe Lewis & the Honeybears are scheduled to play The Launchpad in Albuquerque on March 29. 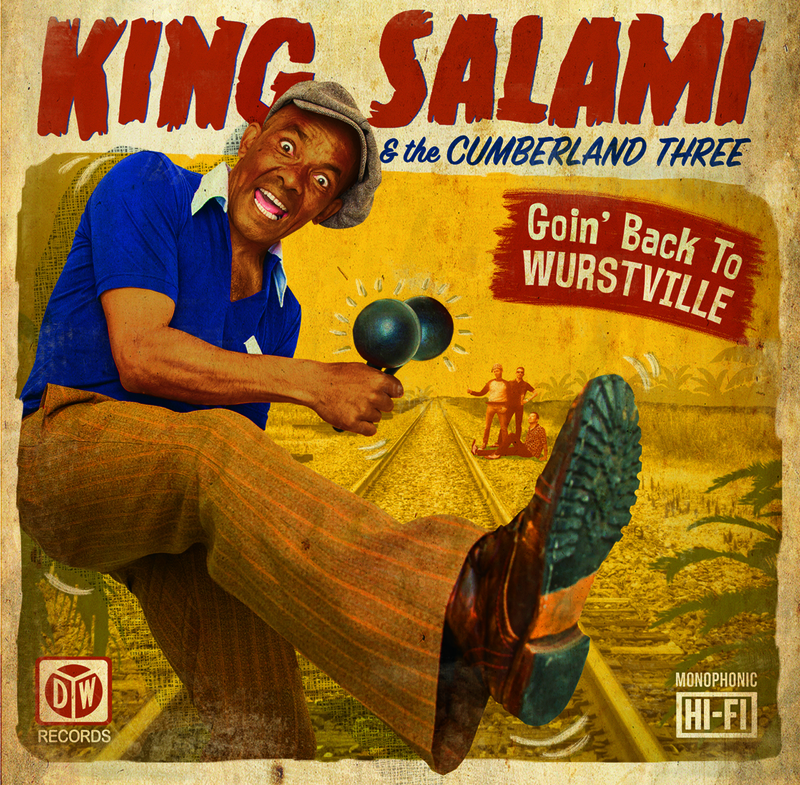 * Goin’ Back to Wurstville by King Salami & The Cumberland 3. In terms of the wurst, these guys are the best. This hopped-up, high-energy London-based band has been around for more than a decade, but despite my overly optimistic prediction a few years ago when reviewing their previous album, they never really have made a huge splash in the good old U.S.A. That’s our loss, my fellow Americans. With Salami and the Cumberlands’ seamless bend of garage-rock, ’50s and ’60s R&B, and occasionally a little instrumental surf music, few bands match their sound in terms of pure fun. Wurstville is only their third actual album in all these years — the previous ones being Cooking Up a Party in 2013 and Fourteen Blazin’ Bangers in 2010. But between albums, Salami and the boys are a singles-producing machine. 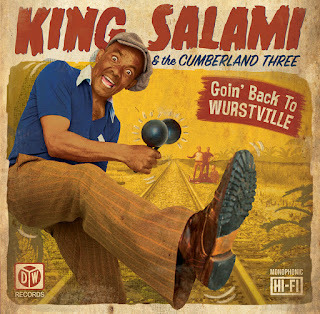 And speaking of politically incorrect, my favorite Wurstville song at the moment is “She Was a Mau Mau.” The title character sounds more related to the cartoonish cannibals of Screamin’ Jay Hawkins’ “Feast of the Mau Mau” than the actual anti-colonialist Kenyan rebels from the 1950s. And despite the historical inaccuracies, this is a crazy little stomper complete with jungle noises and an irresistibly nasty guitar hook. * Live in Paris by Sleater-Kinney. One of the most successful and satisfying rock ’n’ roll comeback stories in recent years was the 2015 return of Sleater-Kinney. Their album, No Cities to Love was nothing short of a triumph, and their show in Albuquerque that year was even better. And, judging from this new album, their concert in Paris was dadgum good as well. To be honest, I was hoping that the group’s follow-up to No Cities would have been a studio album of new material. These troubled times demand intelligent and exciting music. But I guess the comeback reunion wasn’t a permanent thing. Oh well, no complaints here. I guess this is the next best thing. 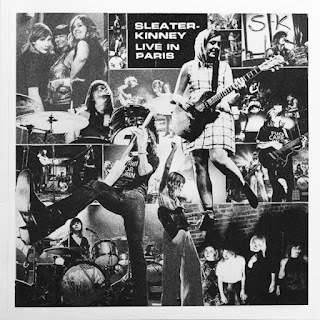 But there is only one tune, “Oh!,” from my favorite Sleater-Kinney album, 2002’s One Beat. I wish they would have done “Step Aside,” the best song from that album, instead. But that’s just the grousing of a picky critic. Those who are already fans will appreciate this live album. And newcomers will have a useful starting point. Here's "PTP" from Black Joe Lewis' new one.